Every $1 you spend on email marketing will get you an average ROI of $40. 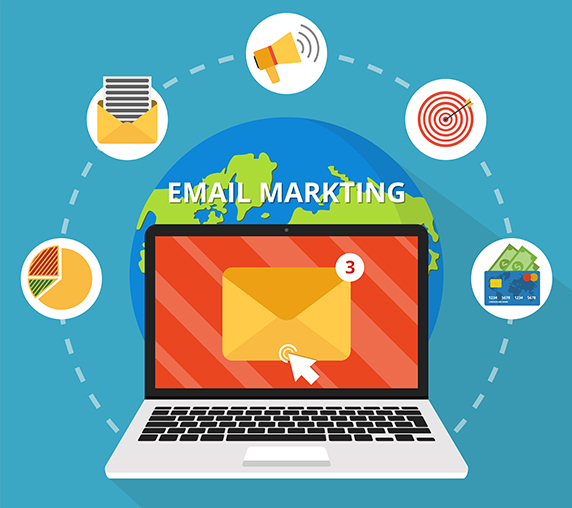 This one fact alone should tell you why email marketing is considered to be the most effective as well as pocket-friendly digital marketing tool. No other marketing method can reach out to thousands of people as swiftly and economically as an email does. It’s a popular perception that given the vast reach of social media, it is the best channel to market a business. However, not only is social media much more expensive than email marketing, there is no guarantee of results also because you are always at the mercy of algorithms, and those may change without any warning. Email marketing gives a business much greater control, and that too with an unparalleled reach. There are three times as many email accounts in the world compared to the combined presence of both Facebook and Twitter. Research has even shown that the click-through rates of emails are much, much higher (3%) than the average click-through from a tweet (0.5%). So, even though businesses need a solid social media presence to stay in the minds of their clients, email marketing will get the result that is actually required for repeated business. We work closely with you to understand your business, find out growth opportunities and see how email marketing could help you achieve your goals. These goals could vary. One company may be looking to get more business from the existing client base, while another may want to convert free trial users into paying customers. 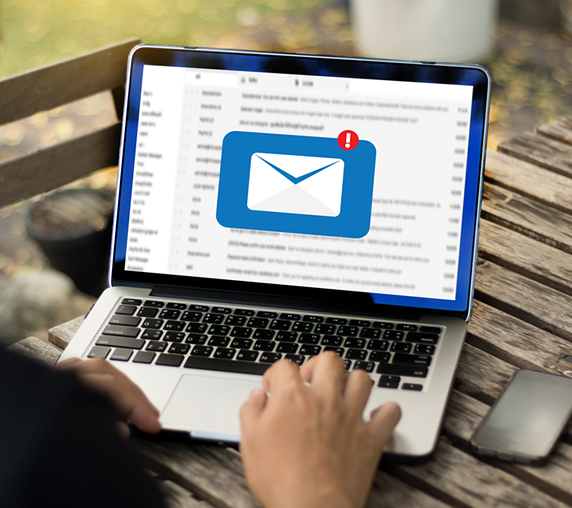 We tailor the email marketing strategy in tune with the available opportunities and business adjectives to get you the clicks that lead to results Setting goals. 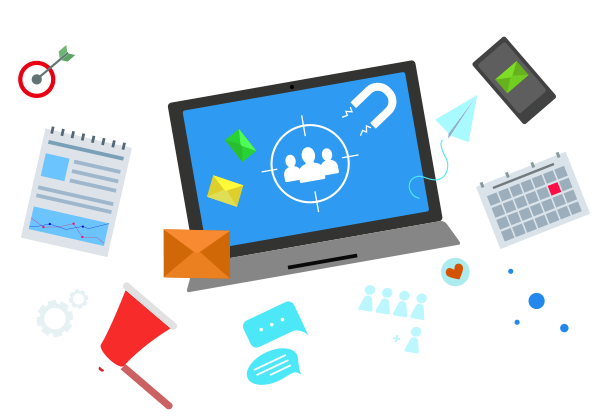 Once we have identified the goals email marketing must achieve for your business, we will craft a campaign accordingly. From sending out newsletters detailing the benefits of your business to your customer base to dispensing brand promotion offers to drive up online sales, a variety of different campaigns are available with Zone One Digital. An email marketing campaign is nothing without solid content. The right kind of compelling content can make all the difference between whether your email goes to the trash bin or you get the customer to respond in a manner you desired. With Zone One Digital, all your content generation needs are taken care of by experts in the business. Research has shown that 65% of peoplelike emails that are mostly comprised of attractive images; while barely one-third of users prefer a text-only approach. Our in-house graphic designers and visualizers work on each email campaign dedicatedly to create visuals, graphics, and animations that adhere to your business style and capture the attention of the reader. Email campaigns are a guaranteed way to ensure that your calls to action (CTA) get the most clicks at the minimum cost. We optimize the CTAs for all email campaigns using specific, targeted copy which focuses on the benefits of clicking the button. The CTA button itself is designed in a manner that allows it to stand out in the email. Its placement also undergoes rigorous testing before the final email is sent out to the customers. We never send out any emails without testing and making sure that they work fine and the content is being displayed as intended. We also collect extensive data to see what is working and what can be improved. Zone One Digital creates comprehensive reports for each campaign to see how many opened the email, in what manner did they interact with the content, whether they visited your website or not, etc. Welcome new customers or subscribers with an automated message when they sign-up for your products or services. Send special offers and discounts to your subscribers that would give them an incentive to become your paying customers. Remind clients about approaching deadlines, such as due dates for vehicle service or bill payment, with automated emails. Invite and remind people about an event your business is organizing or participating with RSVP buttons for easy follow-up. Educate those who fill your inquiry form how your product would benefit them and convert them into paying customers.